Photo by Norbert Nagel, Mörfelden-Walldorf, Germany via Wikipedia –Creative Commons Attribution-Share Alike 3.0 Unported license. Well, news is anything that’s interesting, that relates to what’s happening in the world, what’s happening in areas of the culture that would be of interest to your audience. So I guess (iii) is, pretty much, anything at all. Obviously, these stories represent a small sampling of the day’s news. Most of the stories are (i) novel because they don’t happen every day; but few are (ii) potentially disruptive in a meaningful way. And, per Kurt Loder’s definition, just about all of this would amuse an audience (particularly, and sadly, the alligator story). And that may the point: news as entertainment. Maybe a higher standard is unreasonable, and perhaps, undesirable, but just the same, let’s give the higher standard a try. 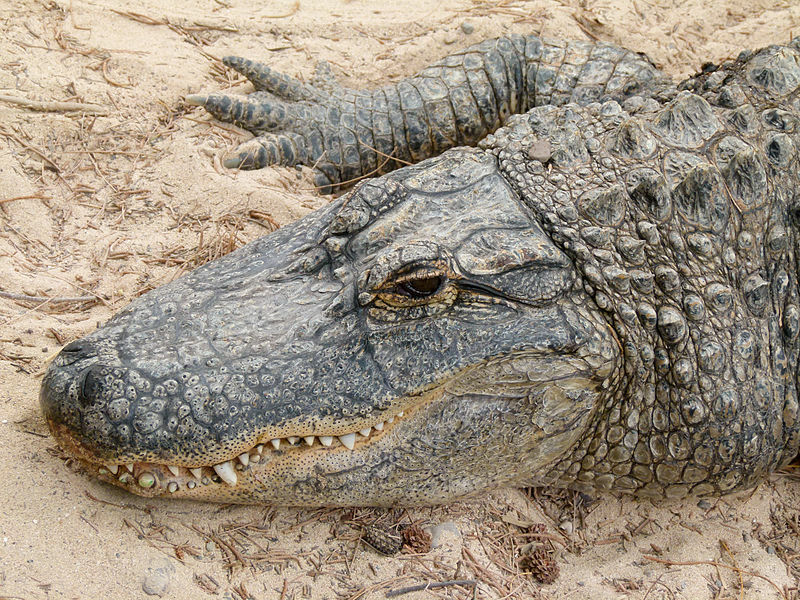 So about that alligator story…How many alligator-related accidents occur each year? Turns out, this woman was 84 years old, lived in a trailer park, fell into a canal, and the alligator did the rest. Accidents happen, but how often? The story tells of two other alligator amputations: one hand (a man) and one arm (a teenager), both earlier this year. Are there laws or common sense rules about living near alligators (beyond the obvious, don’t go near them). Why do we allow people to live near alligators? Why do we allow alligators to live near people? Is this a problem specific to Florida? Anyway, that’s what I want to know. But I’m not sure whether that’s news–and the likes of Yahoo! News seems happiest when there are LOTS of news stories, lots of spicy little items to peruse. All of it, you know, “new” because that’s what news (the plural of new) is all about. And I’m pretty sure “new” should not be primary criteria by which ABC News ought to determine the stories that should be told, or the resources it ought to muster in order to keep us informed. What about highlights of Netanyahu’s U.N. Speech. Why bother reading it? It’s just the story of a politician going on about his country’s foe. Did you click on the link? I wasn’t going to click on it, but I did. And, it turns out, Reuters did a darned good job. Why? Because Reuters chose not to build the story from script excerpts–which is the normal news treatment. Instead, Reuters explained the story in context, and provided just enough history for me to understand why Netanyahu delivered the speech, why he did so today, what he hoped to accomplish, how the rest of the region would likely respond, and what it all might mean. It’s not just a headline with some bland repetitive crap underneath. It’s a story written by Arshad Mohammed and edited by Todd Eastham. 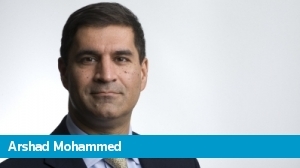 Mohammed is a Reuters foreign policy correspondent, and you can read other stories he has written here. The page includes a small bio so that we know something about Mohammed’s professional credentials and their relevance to his written work. Much of what Mohammed wrote in this story is not new. Instead, he uses today’s significant event and explains its importance. This would be the high standard described earlier. What might happen if every story, by some sort of people’s requirement, was as well-researched and well-told as Mohammaed’s? Well, for one thing, we’d know a lot more about the unfortunate 84-year old woman’s life, and life in a trailer park, and we’d know a lot more about alligators. The higher standard lifts the sensational “man bites dog” headline from the lowest level of human consumption (lust for the novel) to a far more interesting place where we learn something meaningful about the human and gator conditions. Extend the high standard and the storytelling becomes rich and, perhaps, more deserving of our time. Facebook gifts–how is this likely to change our gift economy and the faceless interactions made so convenient by Facebook? What’s so special about La Boheme? What else does Mars Rover likely to find, and what does this mean in terms of our understanding of the universe? Should we be looking into the increase in public shootings, and insisting that law enforcement approach the problem in new or different ways, or is there reason to be comfortable with current practice? I sure would like to know a lot more than I’m being told. If it’s new, I really don’t care. If it’s new and important, tell me why so that I will understand. What’s the best way to accomplish this? (a) Fewer news stories, but more meat on the bones of the ones that are published; (b) More news stories, presented in greater depth and with greater attention to audience needs; (c) Greater attention to advertiser and funder needs? I don’t know, but there’s a lot to discuss in future articles.